OMEGA’s LVU2700 ultrasonic level transmitter provides continuous level measurement up to 10 m (32.8'') with a 4 to 20 mA signal output, and is configured via free software and a USB adaptor. 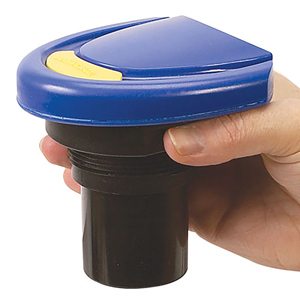 This non-contact liquid level sensor is ideally suited for corrosive, ultrapure, sticky or dirty liquids, and is broadly selected for bulk storage, day tank, lift stations and process tank level applications. 참고: Comes complete with mounting gasket and operator’s manual.